How can YouTube SEO help brand awareness for your business? More often than not, I hear clients and associates refer to YouTube as a social platform. It’s considered in the same regard as Twitter, Facebook or LinkedIn – but the best use of this platform has much more to do with SEO than being social. YouTube is a search engine. It’s the second largest search engine behind Google, so YouTube SEO matters. If you’re uploading videos to YouTube, then you should allow time to optimise them as best as you can. Baidu SEO – How can your business have a digital presence in China? Like with any well-structured marketing, starting with some research will pay dividends. 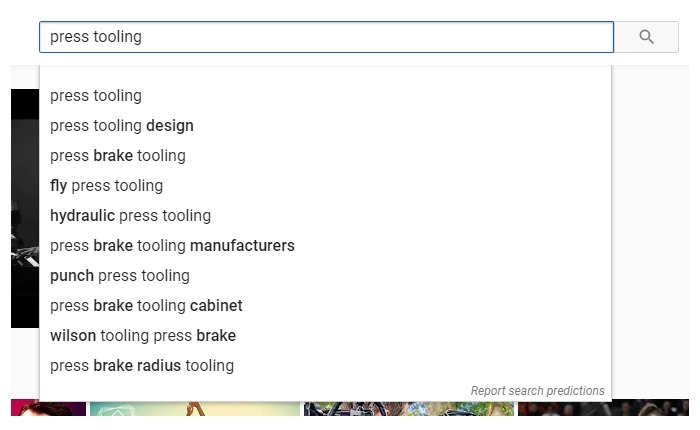 In terms of YouTube SEO, that research could steer the subject for your video content in the future, how it’s structured and even how it’s edited. What are we trying to find out when we delve into YouTube SEO research, exactly? It’s a simple case of understanding how competitive ranking might be for any given video content, what content already exists and how your competition is (or isn’t) utilising the platform with their own content. A good question to ask in order to get the ball rolling is ‘How much video content already exists for the subject(s) you’re hoping to pursue?’ – There is one easy way to find out, and that’s to search for it in YouTube. Think about the subject of your videos and what keywords and phrases might be used to find related or relevant videos. Put those terms into YouTube’s search bar. Firstly, look at the suggested terms YouTube throws up when you do enter your keywords. This is a good indication of the kind of things associated with the term that people are or have been searching for in the past and are therefore good terms to optimise for. Make a note of these suggestions and recommendations for future use. Now look at the results for your search term. When YouTube offers up results, we’ll get a good idea of how much content already exists, how well it is received by users (views, likes and channel subscriptions) and what is and isn’t working well for your competition. Remember how I mentioned Google ranking too? 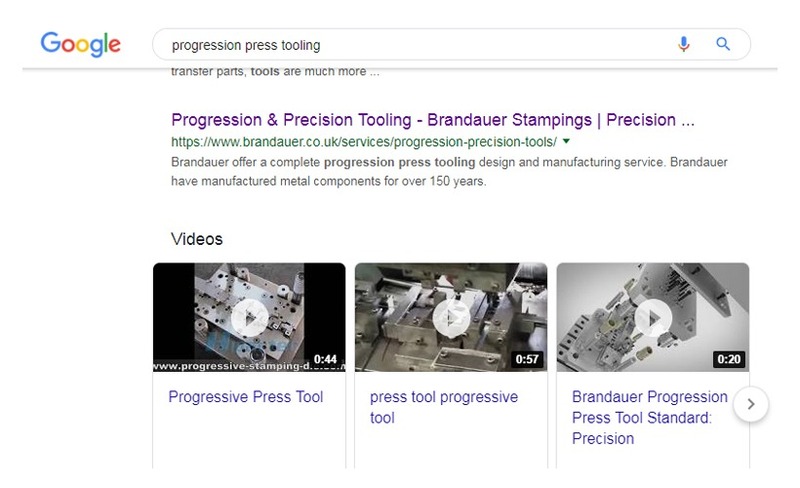 Try searching for your terms in Google; if videos appear in the rankings, then you can be confident that video content for these terms is a good idea. 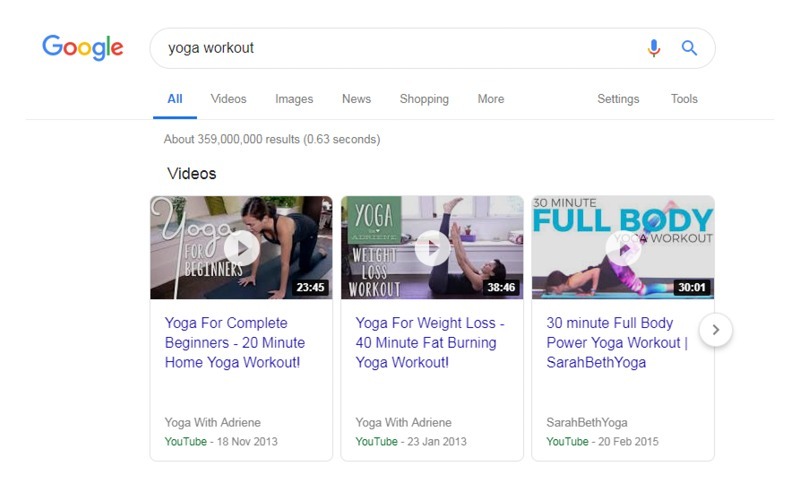 When videos do appear in Google results, you’ll also notice just how high up they are on page 1 and how they’re separated from other content. All of a sudden, video content becomes a great way of getting noticed. This kind of content is recognised by Google as beneficial to the user if it is visual and demonstrational, hence the reason video for these kinds of terms is prioritised over much of the written content online. Optimising content on YouTube – Where do keywords appear? Let’s break it down and offer a good rule of thumb for each area of optimisation. Your title should include one instance of your keywords, preferably at the beginning and the whole title should be between 5-10 words long. Video descriptions rarely get the care and attention from uploaders that they should. A simple sentence is often the method of choice, but this isn’t something I would recommend. The description is a great opportunity to optimise your video with informative content. Around 250 words is another good rule of thumb, and you should be using the keywords wherever appropriate – but aim for 2-4 instances within the first 25 words. Descriptions also offer us the opportunity to provide relevant links to other content; perhaps a blog you’ve written, a product or service page on your website or social media accounts for your business. At a minimum, you should aim for 5 instances of your keywords in the video tags. You should also consider alternate terms that people might use in a search, even copying those used for videos that your competition is ranking well for. Tags are something that won’t show when you’re doing your research on existing videos unless you have software or plugins that integrate with YouTube. With access to competitors’ tags through such software, you can make sure your videos are also optimised for terms that are doing well; this is important in allowing your video to compete for ranking. The transcription is an interesting one, and it’s one of the reasons why research is important before you even get down to filming or editing a video. If your video has voiceover or is an interview-type headshot video, you’ll want that voice to quite literally say the keywords. YouTube will transcribe spoken word and it is actually an important aspect in how YouTube determines good content. Now you know what you know, this might be a good time to revisit video content that you have uploaded to YouTube in the past and optimise it effectively where possible. There’s a very good chance that you have existing content that could have been performing far better for you. Sharing a direct link to your YouTube video on social platforms such as Twitter, Facebook and LinkedIn will all help towards YouTube SEO. The same goes for embedding on websites/blogs, discussion boards, and in email marketing and signatures. Sharing across numerous platforms is encouraged; the more relevant the platform or concentrated the audience, the better. It’s simple really, but by sharing in the right places, you’ll likely see increased engagement because the audience is relevant. The more relevant places online that include or promote your video content, the more it will help in another area of YouTube SEO – Audience Retention. This is an area of SEO that has much more to do with the delivery of a video than optimising it for keywords. 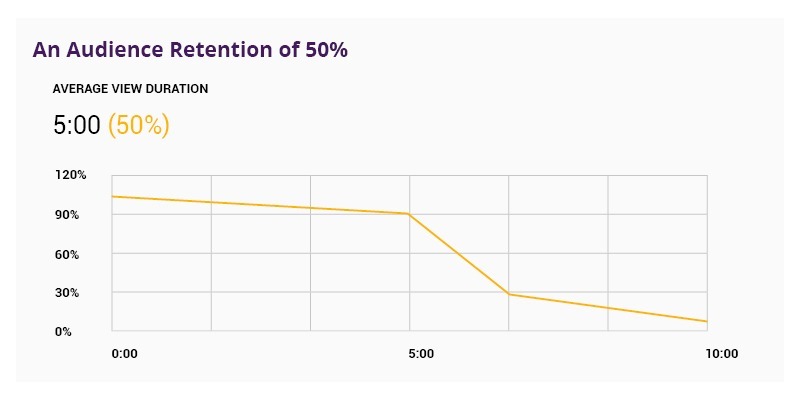 Audience Retention or Viewer Retention is the average percentage of a YouTube video that people watch. Videos with high Audience Retention scores tend to do better on YouTube. Why? Because YouTube recognises that this content is relevant to the keywords it is being optimised for if users are staying to watch it. “We’ve started adjusting the ranking of videos in YouTube search to reward engaging videos that keep viewers watching. So, it’s clear that videos with high Audience Retention scores rank higher in YouTube search. Start with a summary of the content or explain exactly what will be covered. After your brief summary, jump straight into the meat of your video content and don’t leave people waiting. Learn how to use ‘open loops’ – keep reading for explanation. Use pattern interrupts – these include things like jump cuts, inset graphics, animated sections, changes in camera angles etc – anything that changes things up will keep a viewer’s attention for longer. Approximately 20% of the people that start a video leave after the first 10 seconds. Let the viewer know that they’re in the right place. That’s why point 1 and 2 are so important and why you may want to reconsider that lengthy animated logo introduction. Getting to the good bits and answering questions quickly will leave a better impression than dancing around the subject too much. Audience retention is more likely to increase if ‘open loops’ promise the viewer content that they’re curious to see – they’ll watch for longer just to get to another segment of the video that they’re interested in. You’ll have noticed that I used this very technique throughout this article (Keep reading for… / but first… / more on that later etc). Lastly, the use of pattern interrupts is simple. Not enough movement can cause a viewer to switch off, so be sure to keep things animated and engaging. The 4 points above are fundamental but there are numerous other techniques to consider, including best use of text, graphics and well-written scripts. To be honest, there’s even more to YouTube SEO than this, including channel optimisation and branding, playlists, thumbnails and end cards but we’ll cover those separately in the next YouTube feature. There should be enough here to keep things ticking over until then. My recommendation would be to look at existing videos on your YouTube channel and try optimising them using the tips in this article. You’ll want to keep a close eye on results and make sure you check out the analytics in your channel settings to understand how viewers are engaging with your content, and whether that increases after optimisation. I’m confident that it will. S2F are a strategic and creative marketing agency based in Birmingham, offering full marketing support from start to finish. Feel free to use our contact form or any of the details below to start a conversation about your marketing requirements. Did you find this YouTube SEO content useful?